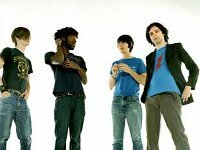 Photos of the band Bloc Party. 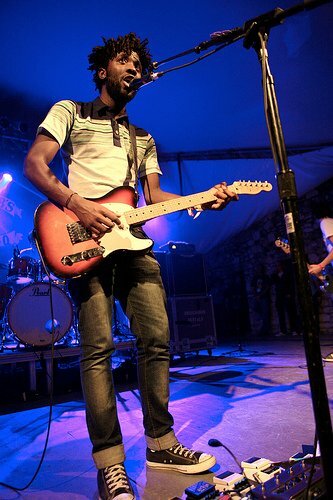 1 Bloc Party Lead singer Kele Okereke sports his black high top chucks during a concert. 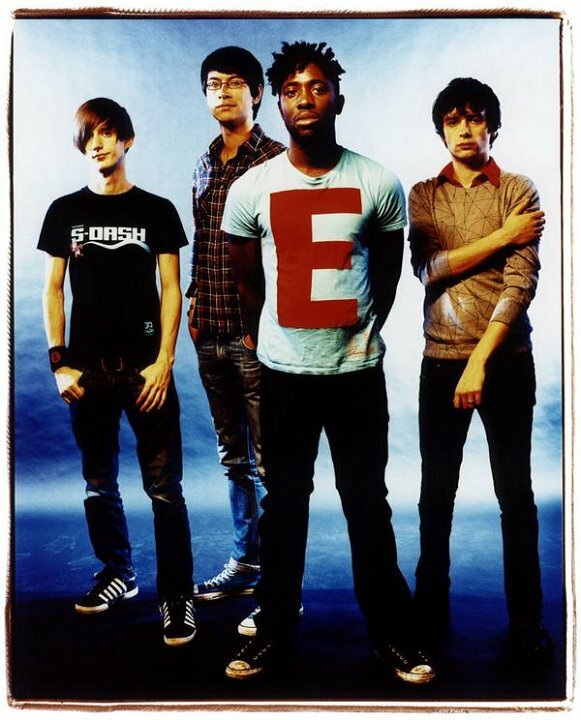 2 Bloc Party Lead singer Kele Okereke wearing black high top chucks at a photo shoot. 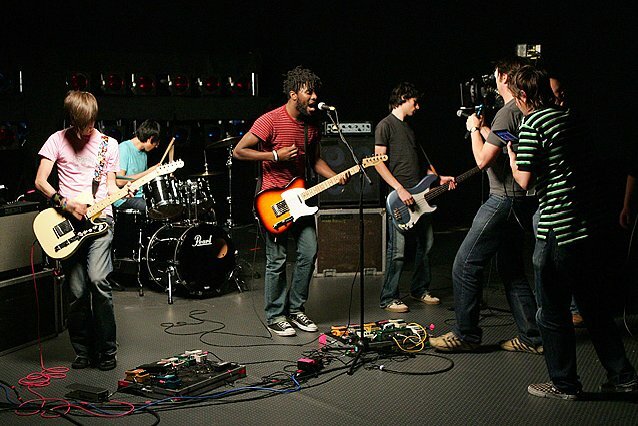 3 Bloc Party Lead singer Kele Okereke and drummer Matt Tong wearing their chucks at a photo shoot. 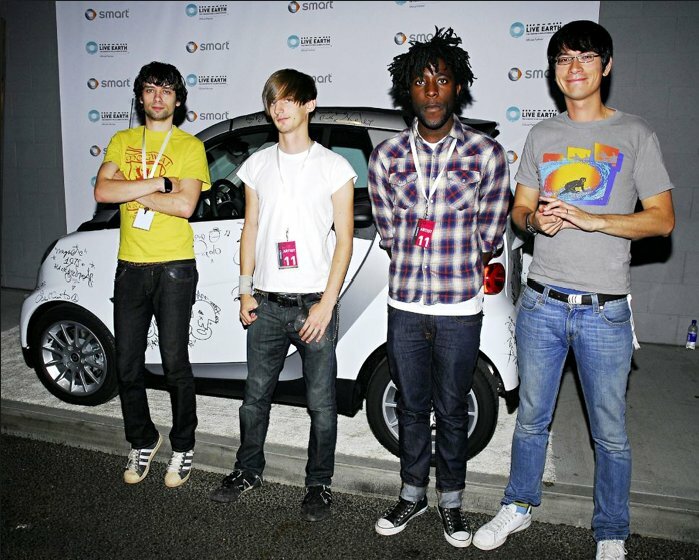 4 Bloc Party Lead singer Kele Okereke and drummer Matt Tong in their chucks. 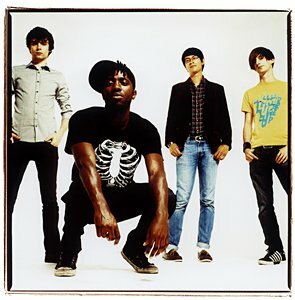 5 Bloc Party The band in an urban playground. 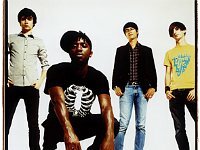 6 Bloc Party The band backstage. 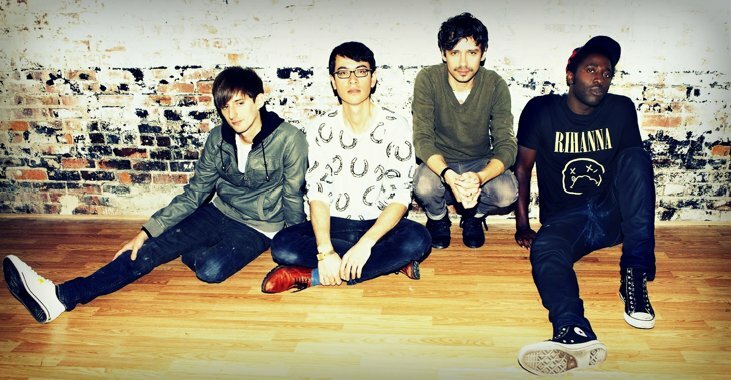 7 Bloc Party The band at a photoshoot. 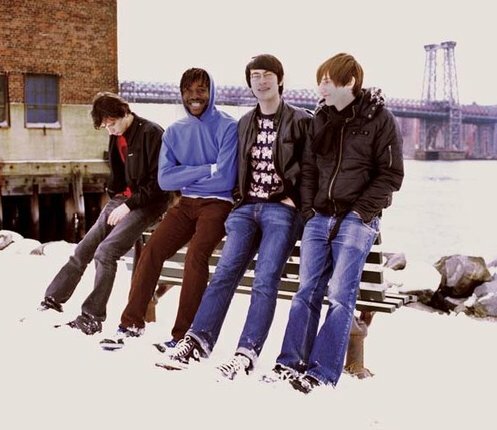 8 Bloc Party The band outside in the snow. 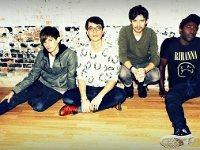 9 Bloc Party The band posed in front of a brick wall. 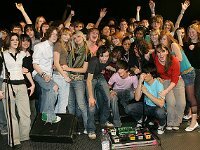 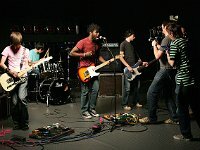 10 Bloc Party The band with the cast of a video shoot. 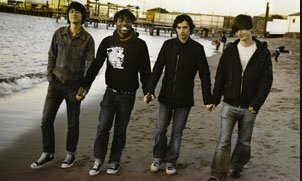 11 Bloc Party Walking along a beach. 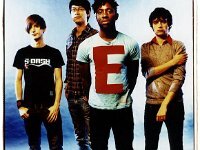 12 Bloc Party The band in performance. 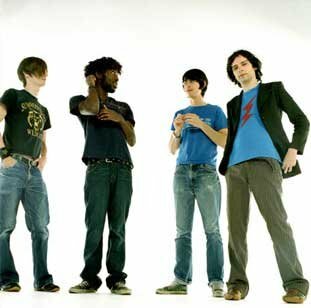 Casual, posed, and performance photos of the band Bloc Party. 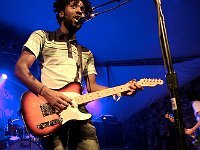 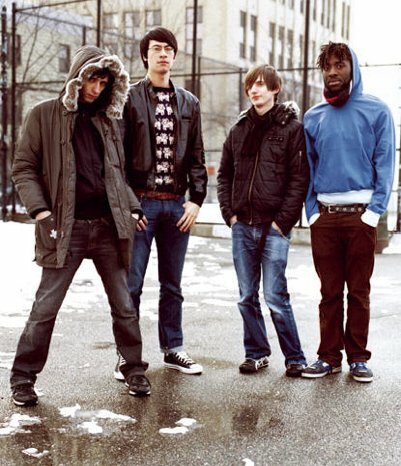 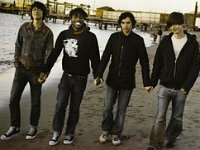 Bloc Party is a British indie rock band, composed of Kele Okereke (lead vocals, rhythm guitar), Russell Lissack (lead guitar), Gordon Moakes (bass guitar, synths, backing vocals, glockenspiel), and Matt Tong (drums, backing vocals).